Go back to bed, America. Late cult comic Bill Hicks' true roots are exposed as Richard Linklater bares his own. "Watching television is like taking black spray paint to your third eye," early alternative comedian Bill Hicks observed, probably on a televised special. Movies are a different story, and filmmaker Richard Linklater, who took over ten years to make one coming-of-age flick, is a different kind of director. The Oscar-winnng director of Boyhood will develop, write and direct a movie about Hicks for Focus Features, according to Collider. There are hundreds of movies about going to school and growing up, but only a handful specifically capture the feeling of summer ending, entering into a new grade, meeting new people and starting fresh. Yes, it’s the waning weeks of August, and that means it’s time for back-to-school shopping, new school butterflies and making the most of the last few days you’ll get outdoors. And though you won’t find teen classics like “Ferris Bueller’s Day Off,” “The Breakfast Club” or others on this list, you will find some great movies meant to get you into the back-to-school spirit. While Richard Linklater’s “Dazed and Confused” is set on the last day of school, his spiritual sequel “Everybody Wants Some! !” is set in the few days before classes begin. In 1980, a Texas college baseball team lives together in a house ahead of the start of the fall season. Glen Powell is at the point in his career where he’s ready to lead a major studio tentpole, but it turns out “Top Gun: Maverick” won’t be the blockbuster to do the trick. Miles Teller has beat Powell and landed the much-discussed role of Tom Cruise’s younger protégé in the long-awaited “Top Gun” sequel. The character is the son of Goose, played by Anthony Edwards in the original. Powell reportedly screen tested for the role opposite Cruise (via Variety), but he lost out to Teller in the end. Powell didn’t take long to react to the news of Teller’s casting. Minutes after Variety confirmed the “Whiplash” star was joining Cruise for “Top Gun: Maverick,” Powell took to his Twitter page to send the casting article to his followers with a caption that joked he was tearing down all of his Tom Cruise posters after being passed over for the sequel. There are plenty of reasons people can't get enough of Netflix's new rom-com, Set It Up, and the chemistry between stars Glen Powell and Zoey Deutch is definitely one of them. Viewers are truly giddy about the new movie, which is adorable and delightful and, yeah, I may have watched it twice within a few days, Ok? Glen and Zoey are as charming as it gets, and (fun fact!) this actually isn't the first time they've been in a film together. Both actors appeared in 2016's Everybody Wants Some! !, and even better, they may get to share the screen a third time if a Set It Up sequel becomes a reality. Fingers crossed, right? Check out some of the best pictures of the friends hanging out together, then plan your next movie night with a look at the best romantic comedies on Netflix. This year, a record 928 people were invited to join the motion picture academy and will be eligible to vote for the 2019 Oscars. Compare this intake to the totals of the previous four years: 774 in 2017; 683 in 2016; 322 in 2015; and 271 in 2014. While Academy Awards nominees are automatically eligible for consideration, the rest of the candidates must go through a fairly cumbersome process. A candidate must meet certain branch specific requirements before even being eligible. 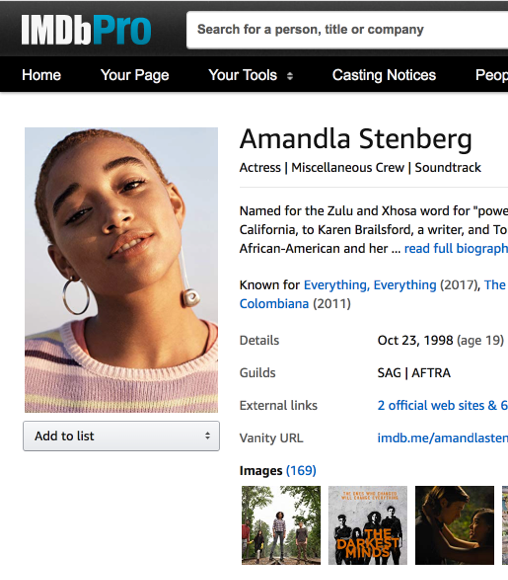 For example, actors must “have a minimum of three theatrical feature film credits, in all of which the roles played were scripted roles, one of which was released in the past five years, and all of which are of a caliber that reflect the high standards of the Academy.” For writers, directors and producers they need have just two of these credits. The executive committee of the branch must endorse the application before forwarding it to the Board of Governors for final approval. Clearly, people of color (38 percent) and women (49 percent) are among the many invites, as the Academy continues to address its long-term white-male dominance. As always, actors make up the largest branch of the Academy, but many new members also come from overseas. In 2017, the Academy invited 744 new members. The Academy of Motion Pictures Arts and Sciences is out with its 2018 list of invitations for membership. Here is the list of the record 928 folks from 59 countries. Note that 10 individuals (noted by an asterisk) have been invited to join the Academy by multiple branches; they must select one branch upon accepting membership. New members will be welcomed into the Academy at invitation-only receptions in the fall. Announced at the end of December, but seemingly lost amidst year-end coverage and general exhaustion, The Houston Chronicle revealed that Linklater is currently at work on “a film set during the summer of 1969” in Houston. Update: Read our review of The Cloverfield Paradox. Two years ago, Dan Trachtenberg’s directorial debut 10 Cloverfield Lane arrived, bringing new life to the sci-fi franchise initially launched in 2008. Following the success of the film, it was revealed that J.J. Abrams would continue developing more entries and the newest will arrive with God Particle aka The Cloverfield Paradox, and it’s coming very, very soon. Directed by another newcomer, Julius Onah, it stars Daniel Brühl, Elizabeth Debicki, Aksel Hennie, Gugu Mbatha-Raw, Chris O’Dowd, John Ortiz, David Oyelowo, and Zhang Ziyi and follows a group of astronauts in orbit when the Earth disappears. In a special, unprecedented surprise, the first trailer has landed and Netflix has announced it is coming out after the Super Bowl concludes. We’ll also be getting another entry in the franchise soon as /Film recently reported that the upcoming WWII-set thriller Overlord is actually a Cloverfield film. Max Winkler’s debut Ceremony was an assured indie dramedy and now eight years later, he’s back with his follow-up. Flower, which premiered at the Tribeca Film Festival last year, has the impressive cast of Zoey Deutch, Kathryn Hahn, Adam Scott, Tim Heidecker, Joey Morgan, Dylan Gelula, and Maya Eshet. Ahead of release this March, The Orchard has debuted the full trailer. Telling the story of the Everybody Wants Some!! star as an L.A. teen who loves to rebel with her group of friends, and gets in a bit over her head, it looks like Winkler has cooked up another witty, well-observed comedy. The coming of age movie follows plenty of familiar tropes, but that doesn’t mean they can’t be one well. A couple years back, we had the winning and refreshing “The Edge Of Seventeen,” which felt genuinely authentic to the teenage experience. Now comes “Flower” which offers another take on growing up. Rising star Zoey Deutch (“Everybody Wants Some! !,” “Why Him? Continue reading ‘Flower’ Trailer: Zoey Deutch Gets Rebellious at The Playlist. In his 25-year feature career, Richard Linklater has consistently developed stories about transitional points in people’s lives, whether it’s the first inkling of a shift from adolescence to adulthood ("Dazed and Confused"), a couple’s shifts in relationship status (the ‘Before’ films) or the regular ebb and flow of many years of life in "Boyhood." Linklater’s latest film, "Everybody Wants Some! !," could almost be a direct sequel to "Boyhood" as it begins with freshman baseball player Jake (Blake Turner) arriving at college, and continues through his first few days spent with new teammates. It’s a fond look at a type of masculinity during the summer of 1980, when, for a moment in time, young men like Jake seemed untouchable. Laced through with autobiographical elements, the film continues Linklater’s gently ambling approach to script and character as it observes the competitive and chest-thumping teammates in various social settings. Interview: Richard Linklater Talks Everybody Wants Some!! Last weekend the top twelve at the domestic box office was down 24.3% when compared to last year. In fact, it was the first time since 2008 that the top twelve films at the box office failed to top $100 million in the 15th weekend of the year. This weekend won't have any such issues with Disney's The Jungle Book looking to become one of the top five April openings of all-time. Additionally, Warners' Barbershop: The Next Cut should deliver the largest opening that franchise has seen while Lionsgate's Criminal will likely finish just outside the top five. Disney has tapped into something special when it comes to adapting some of their most iconic animated movies into live action features in recent years. Last year's Cinderella opened with $67.8 million in mid-March, the year before Maleficent opened with $69.4 million and, in 2010, Tim Burton's Alice in Wonderland opened with an astonishing $116.1 million before grossing over $1 billion worldwide. The Film Stage Show Ep. 184 – Everybody Wants Some!! Welcome, one and all, to the newest episode of The Film Stage Show! This week, I am joined by Jordan Raup and Bill Graham to discuss Richard Linklater‘s Dazed and Confused spiritual sequel Everybody Wants Some! !, which is now in limited release and expanding. Subscribe on iTunes or see below to stream download (right-click and save as…). M4A: The Film Stage Show Ep. 184 – Everybody Wants Some!! Bonus: Watch a 30-minute talk with Richard Linklater and the cast. E-mail us or follow on Twitter and Facebook with any questions or comments. On the previous episode of Adjust Your Tracking, myself and co-host Joe von Appen gushed about Jeff Nichols' "Midnight Special," and we open this latest episode of the podcast with a followup on its scary box office possibilities (or lack thereof). But the main section of the show is dedicated to Richard Linklater's latest film, "Everybody Wants Some! !," and beyond our review, we dive into a deeper discussion about the film's specific, mostly-white male perspective and what that means in an era of #OscarSoWhite movie culture. The final segment of the podcast is our latest edition of Hold Up, in which we discuss Mathieu Kassovitz' brilliant 1995 film "La Haine," which is possibly even more relevant today than during its initial release. Read More: Ranked: The Best Characters In Richard Linklater's Movies All shows and their episodes are brought to you by The Playlist and can be found.